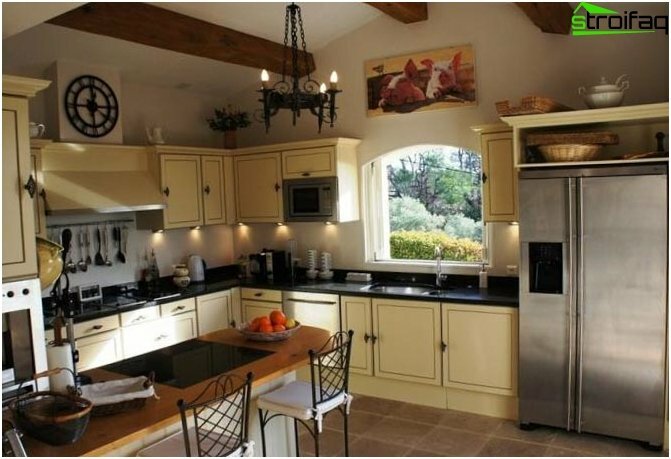 Provence - a region of south-eastern France,whose name is literally translated as "province". 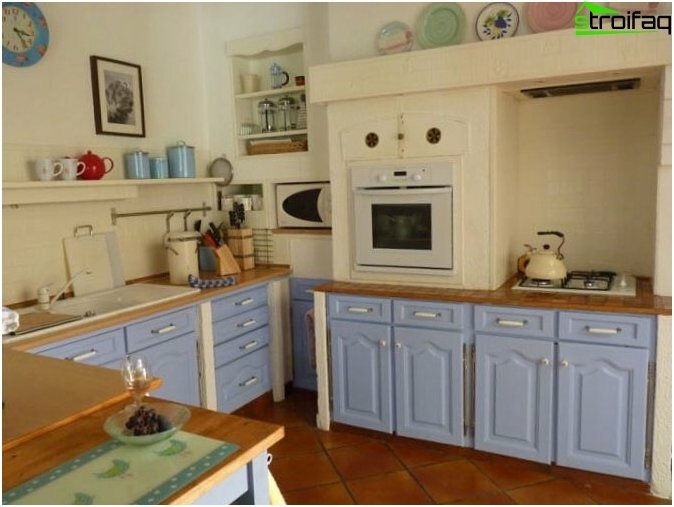 Provence - this unity with nature, gentle waves of the sea, gentle sunshine, endless lavender fields with enchanting aroma, clean country air. 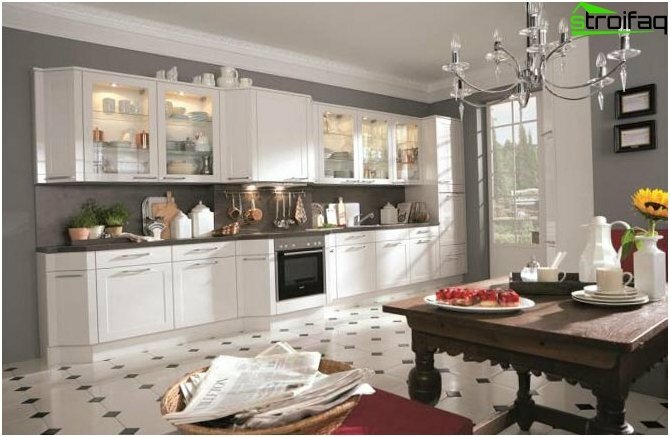 Provence - a style, combining elegance, comfort and simplicity. 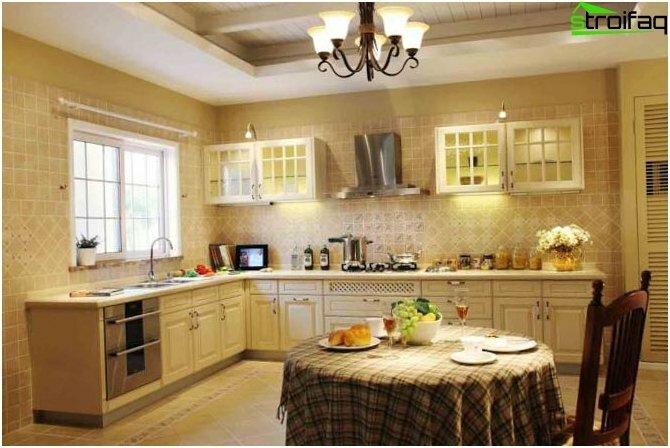 Elegance and ease of fit into the style of Provencein a wide variety of facilities and space. 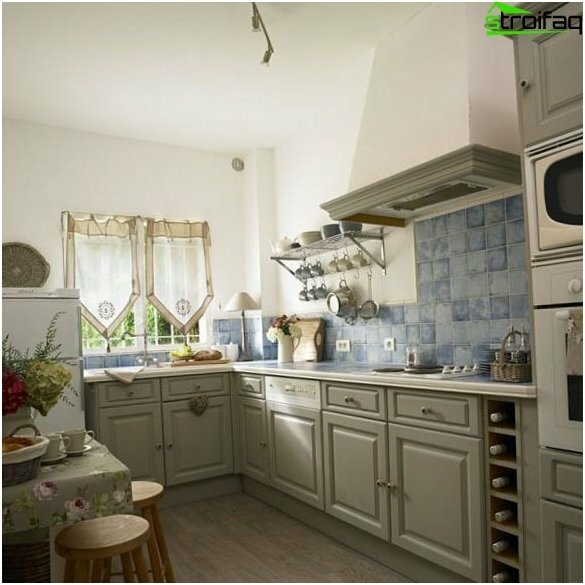 Provencal interior design is based on comfort and simplicity, and simplicity and unobtrusive allowing you to enjoy them for a long time without any desire to change the situation. 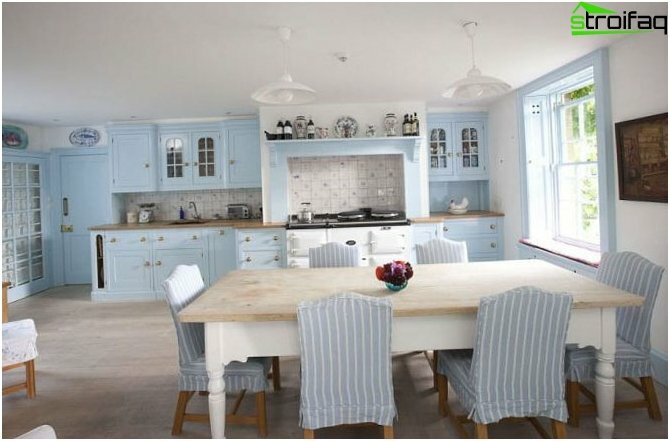 For decorating the walls of wallpaper in the style of Provencerarely used, traditionally the walls plastered and painted. 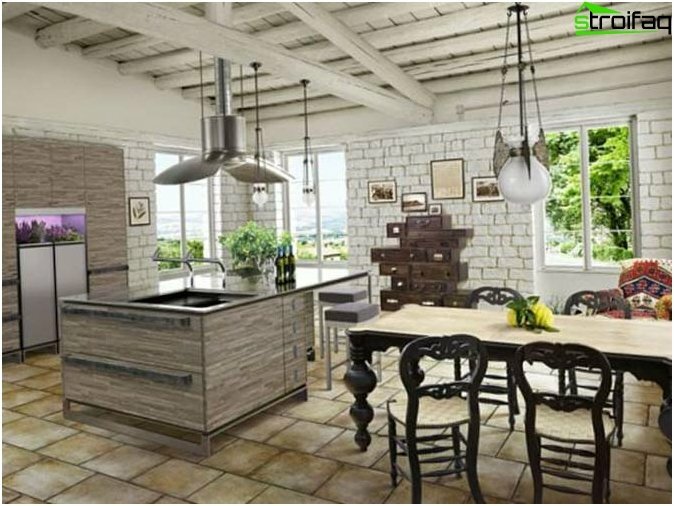 As a design solution is quite possible finishing one wall wood paneling, ceramic tile or stone. 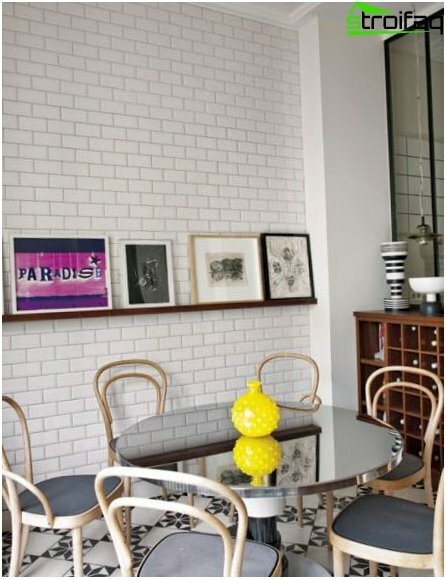 However, in a small urban apartment wallpaper will look is also very appropriate. 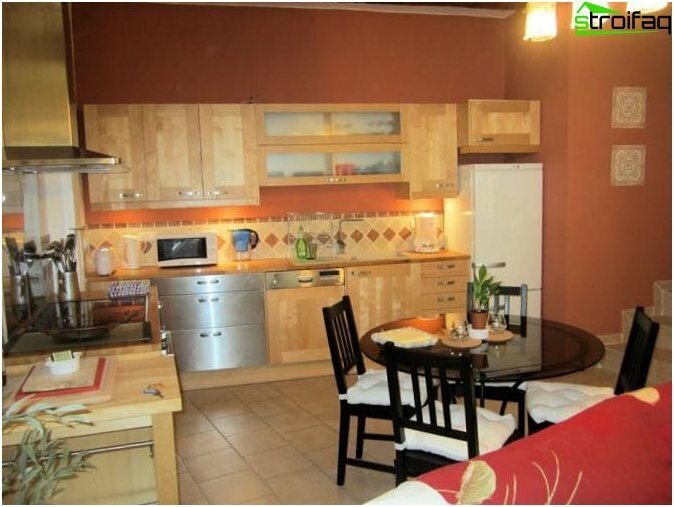 In addition, it is quite a budget option. 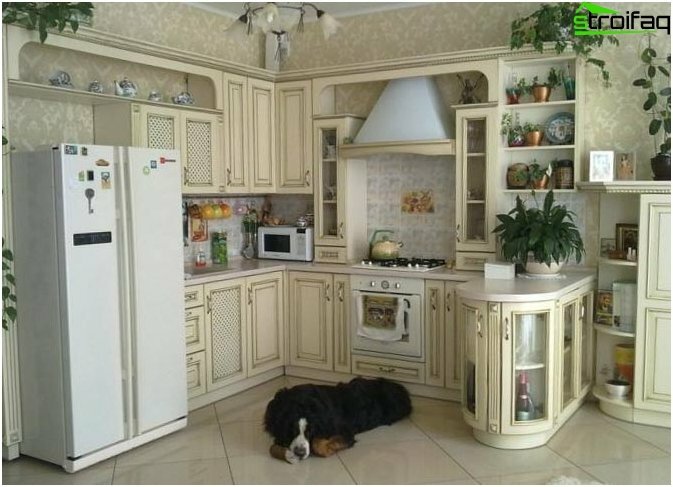 When choosing wallpaper is important to take into account the features of the kitchen. 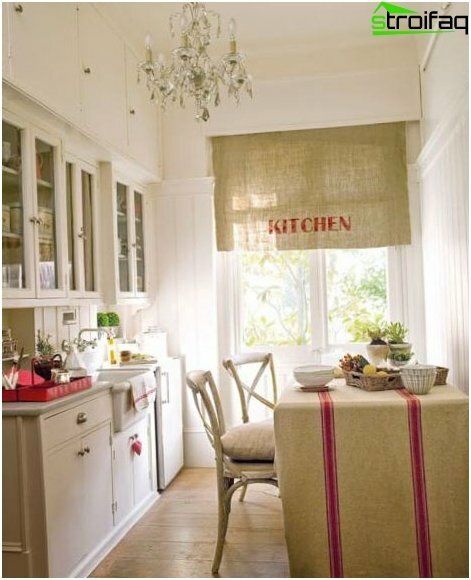 Longitudinal stripes visually expand the narrow space and the vertical visually make higher ceilings. 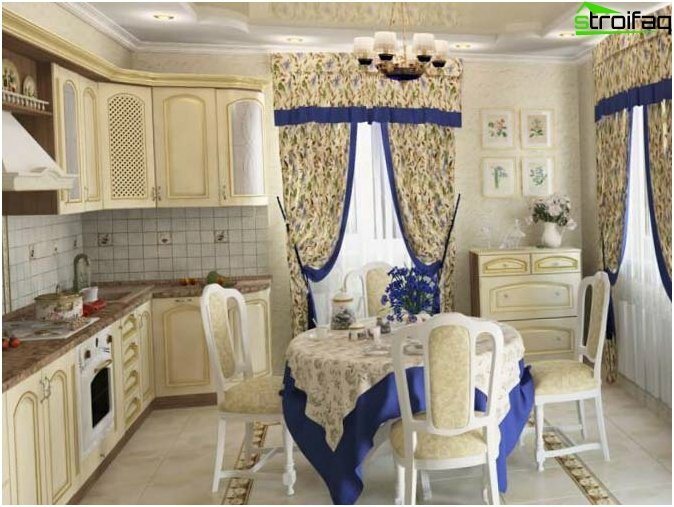 The small kitchen is better to choose wallpaper with small and dim patterns, and large saturated drawings suitable for large rooms or for decoration of one wall. 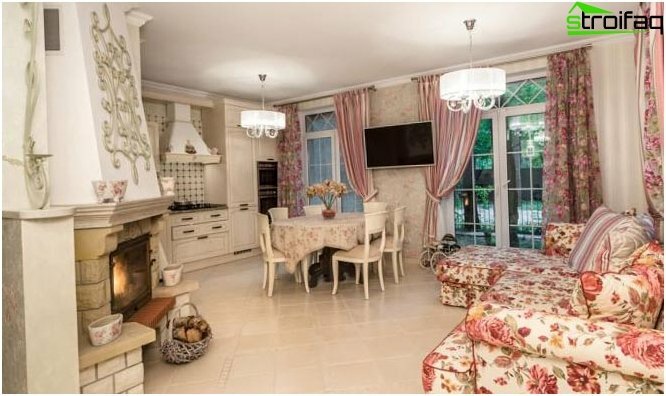 If the kitchen windows are located on the north side or the penetration of sunlight prevent the trees, look at the bright wallpaper warm colors (sunny yellow, ivory). 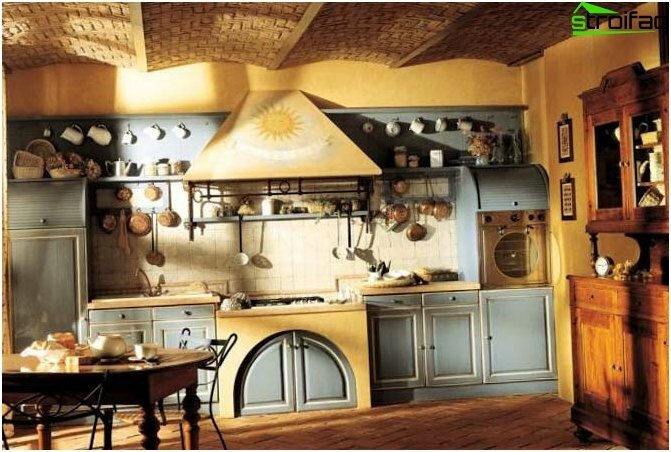 Masonry fits perfectly into the style of Provence, but rather conceals much space, so on it is better to give up in the small kitchen. 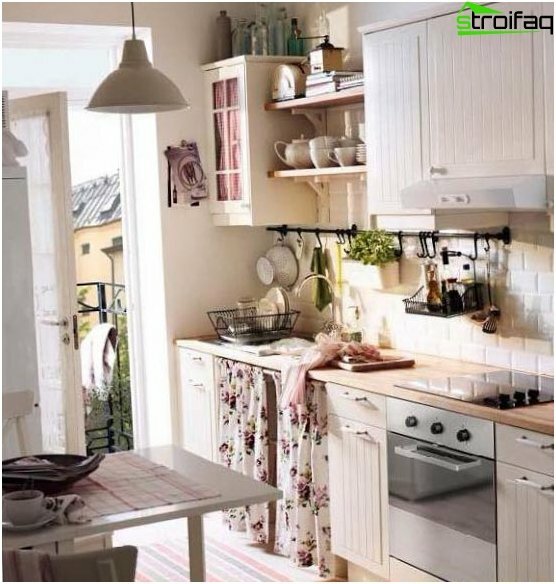 But the choice of materials for wall decoration inkitchen need to consider not only their appearance (color, pattern, texture), but also functionality. 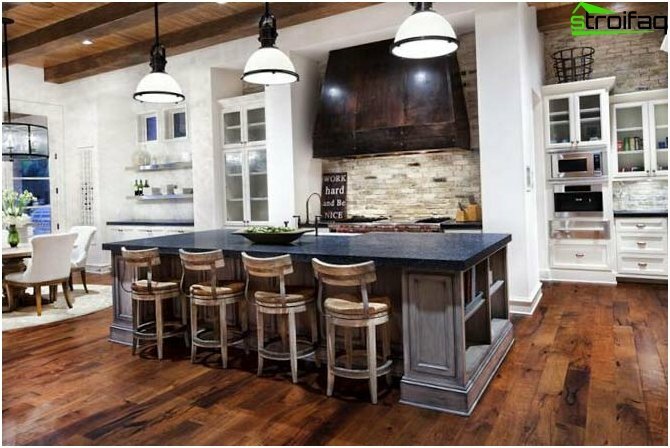 After all, a kitchen - primarily working cooking area, respectively, materials must be easy to clean, moisture resistant and not be spoiled by temperature changes. 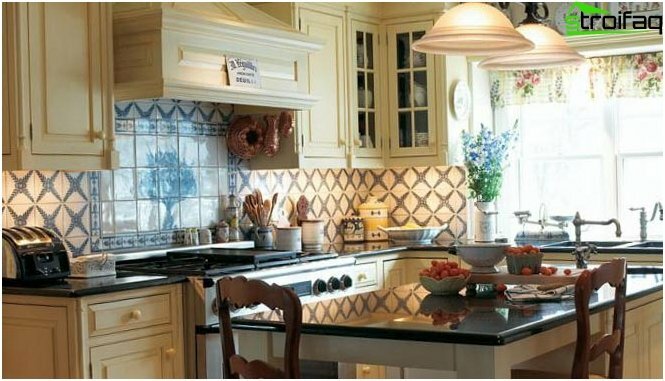 Learn more about the intricacies of selection of wallpapers for the kitchen You can then. 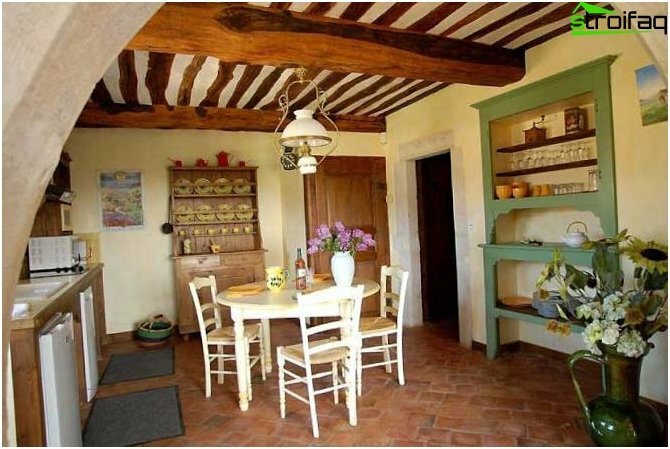 The traditional village houses Provencewooden ceiling beams, as a rule, does not camouflage. 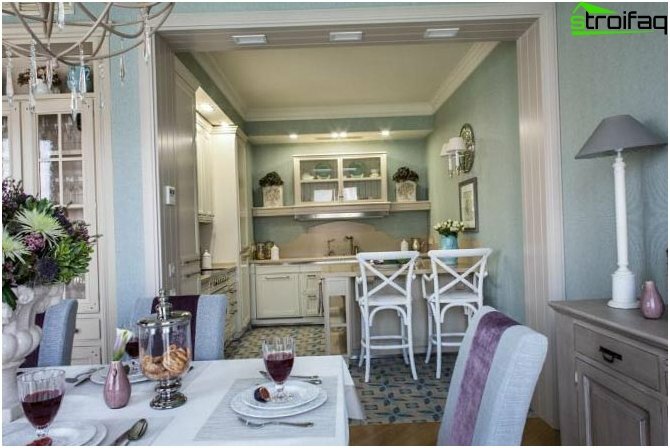 In modern apartments need for them as such, no. 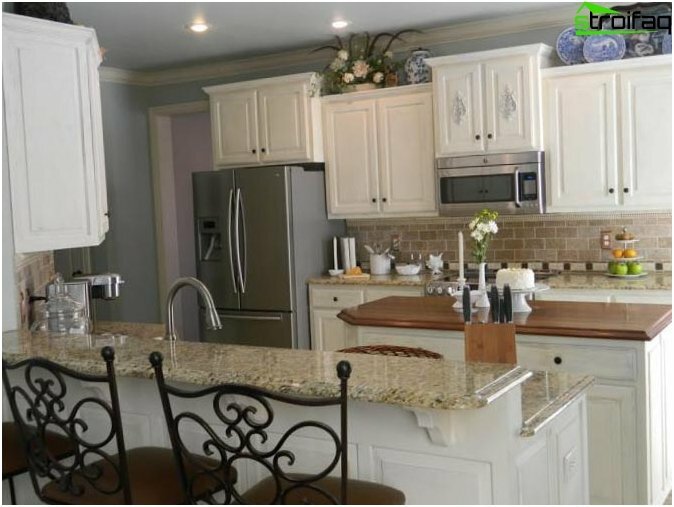 Therefore, they are purely decorative. 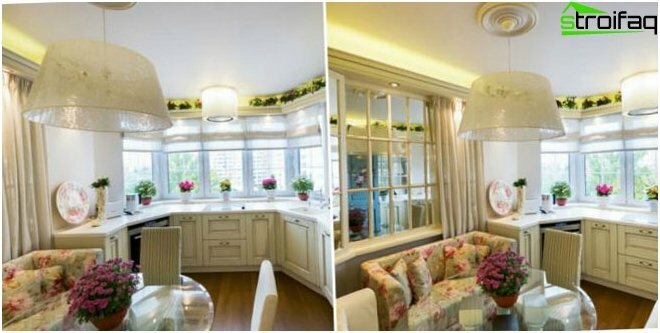 However, such a dressing can afford only the owners of dwellings with very high ceilings, otherwise the visual space becomes much less. 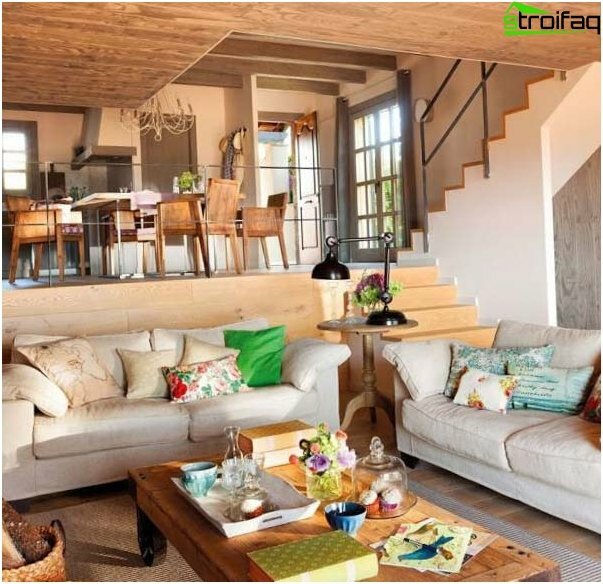 If your house is low ceilings or low, it is possible to decorate the beams not only a great part of the ceiling. 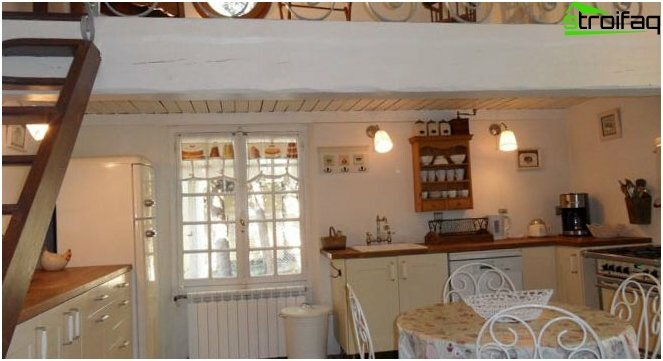 The same applies to multi-level ceilings. 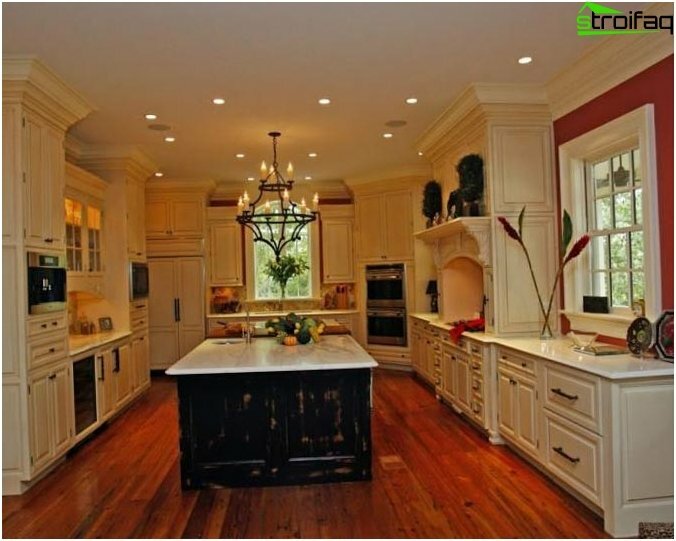 Glossy ceilings Provencal style does not fit. 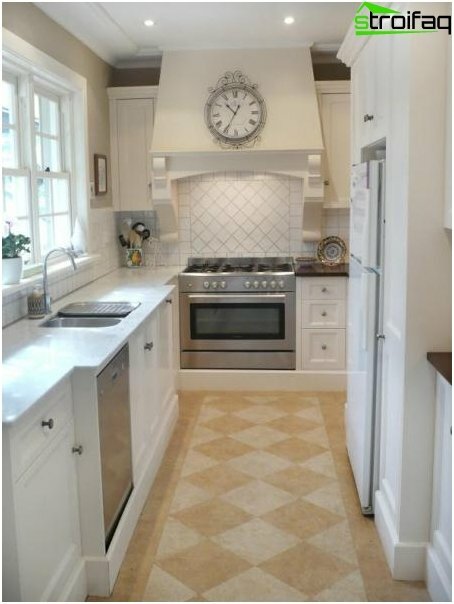 To the kitchen floor matched the style of Provence,desirable to use materials with a rough texture. 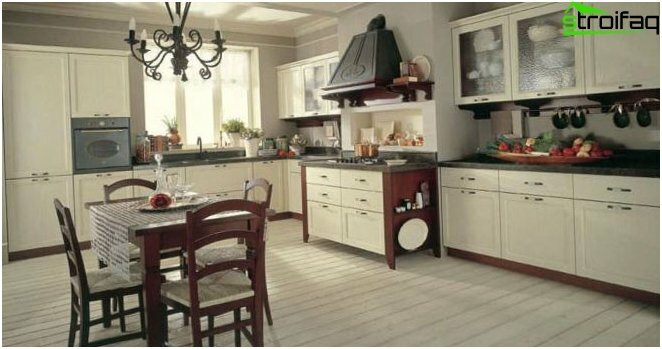 Beneficial will look ceramic tile, laminate under natural wood (possibly with the effect of cloth), parquet. 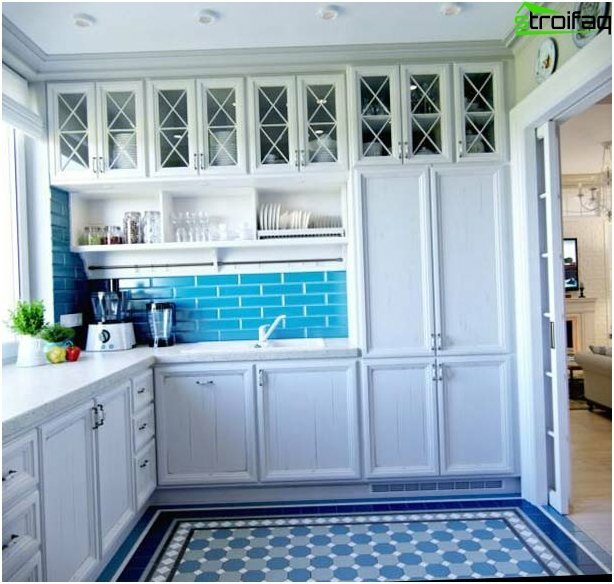 For a budget option approach linoleum with a softly pronounced pattern. 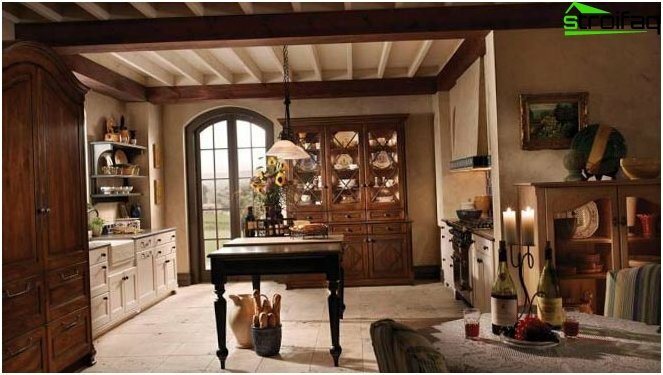 Kitchen in the style of Provence, choose matt flooring. 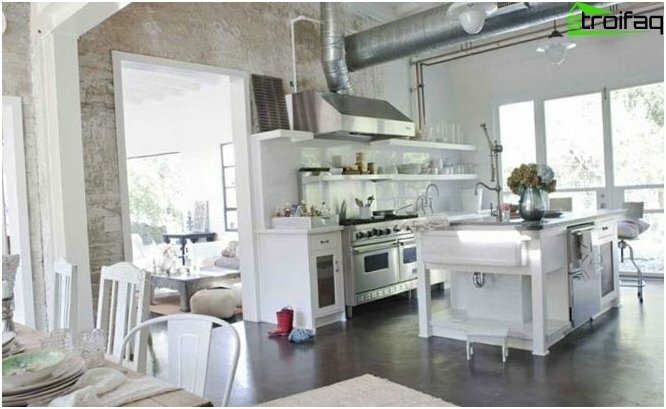 This is more in keeping with the style, and much more practical from the point of view of cleaning. 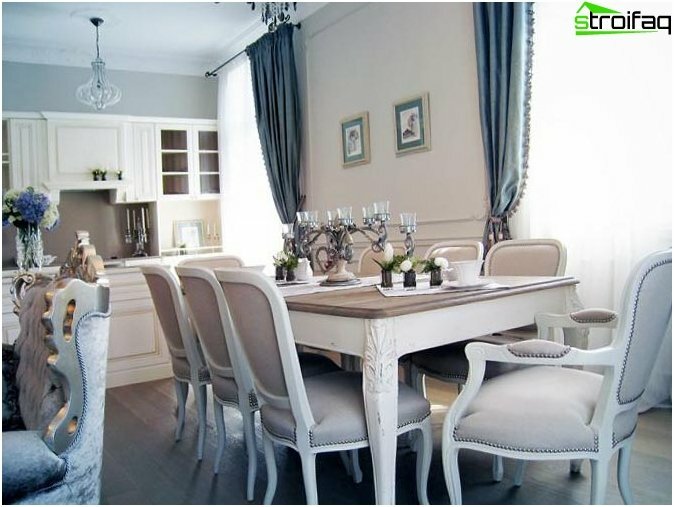 For the style of Provence is characterized by the use of soFurniture-called "antique". 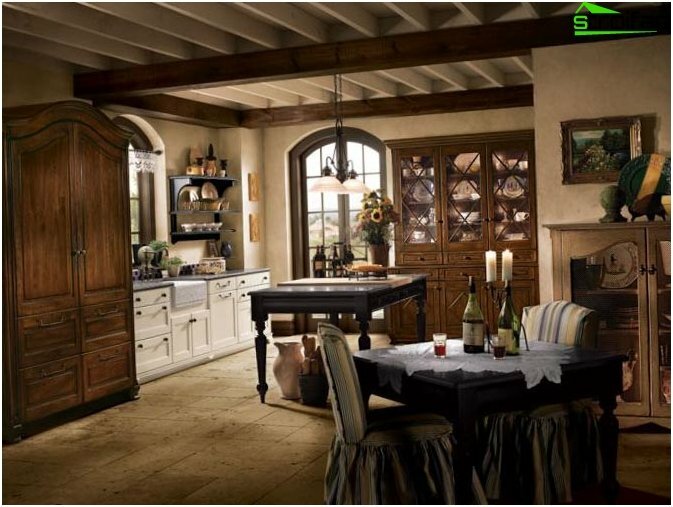 This does not necessarily have to be antiques, it is possible decorative "aging of" furniture. 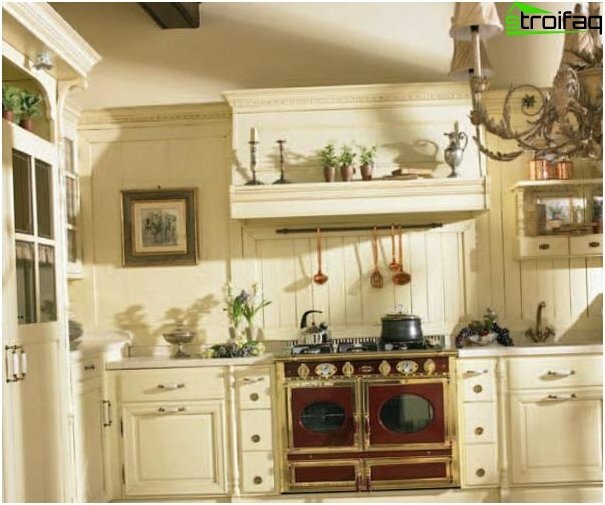 However, the objects of interior should look not just borne out of the store, and lived here for a long time, has its own history, keeping the little secrets. 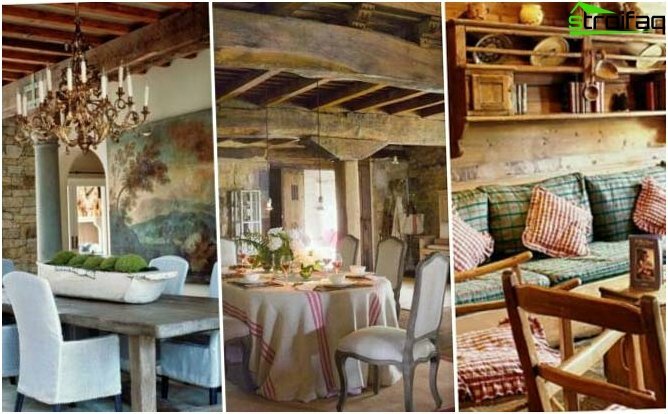 It is in this lies the secret of charm and glamor style of Provence - it has a soul. 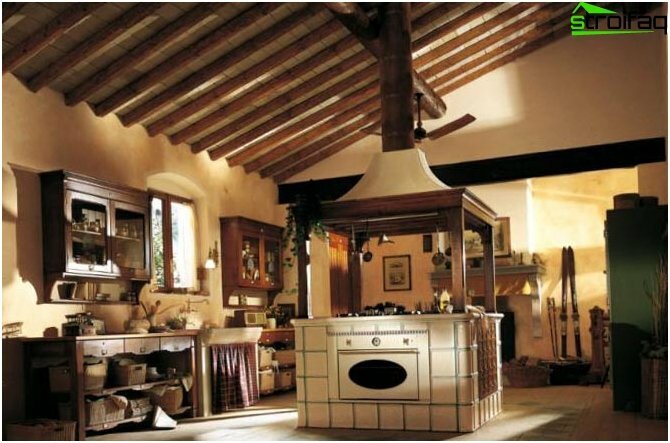 Another feature is the style of Provenceusing natural materials: wood, cloth, stone and ceramics, forged products. 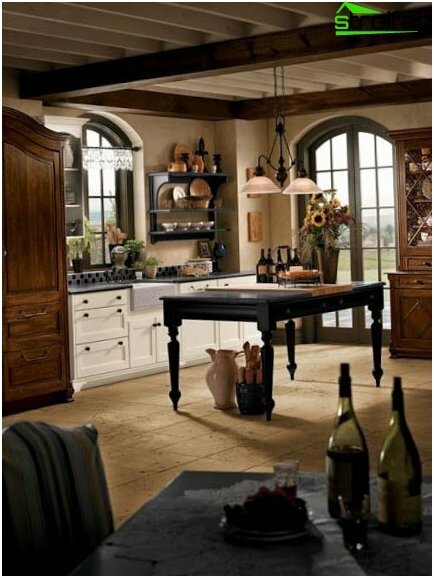 Therefore, in the Provencal kitchen will look great with wrought iron table legs, chairs with soft cloth upholstery, table top made "under a rock." 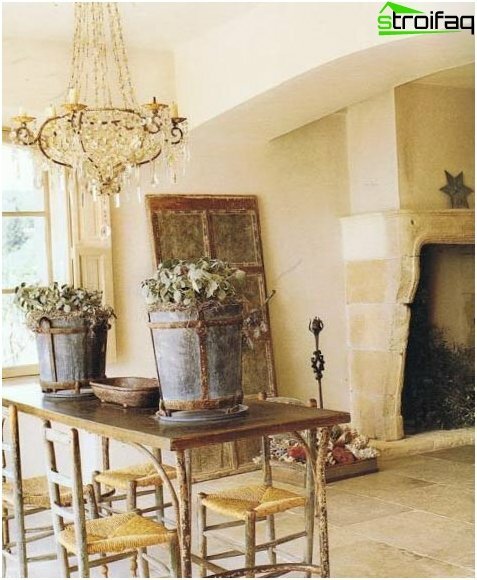 It is appropriate chandelier in the style of Provence will look with a lampshade from textile. 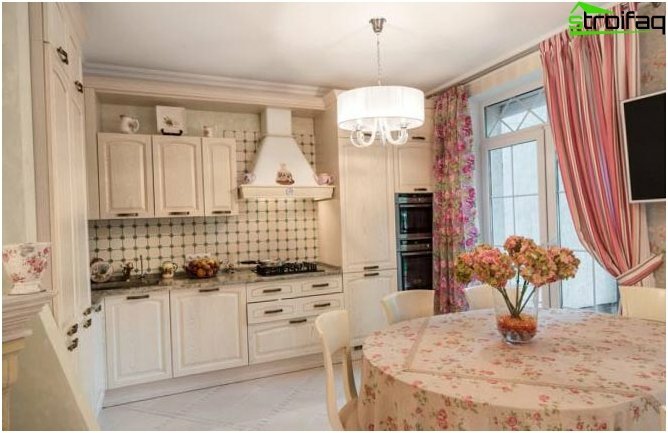 In Provence is dominated by floral and fixturesfloral motifs, bright pastel colors. 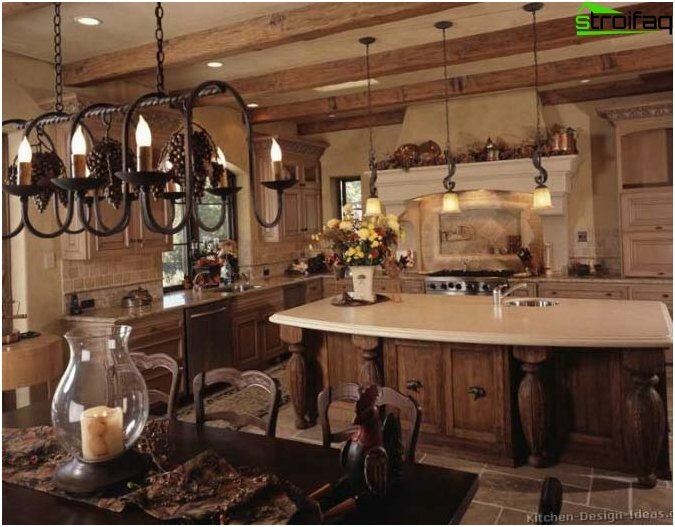 If the chandelier in the kitchen a little space (for example, due to the low ceilings), it can be replaced by several local fixtures, designed in the general style. 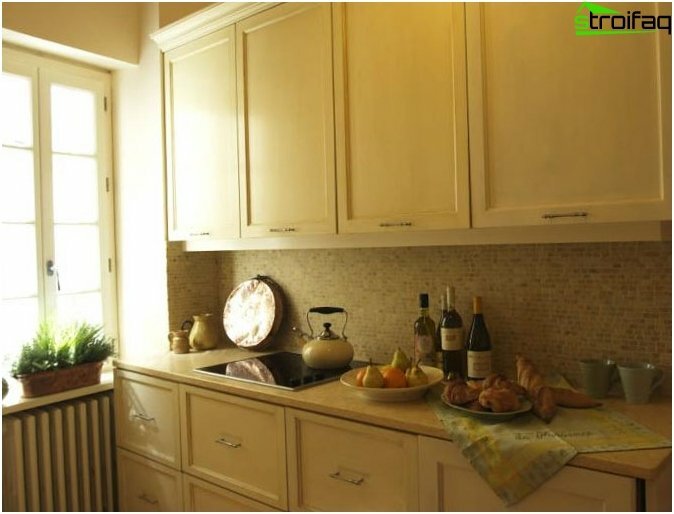 As a result of constant exposure to bright sunlight in the traditional Provencal cuisine all the colors fade and become moderate tones. 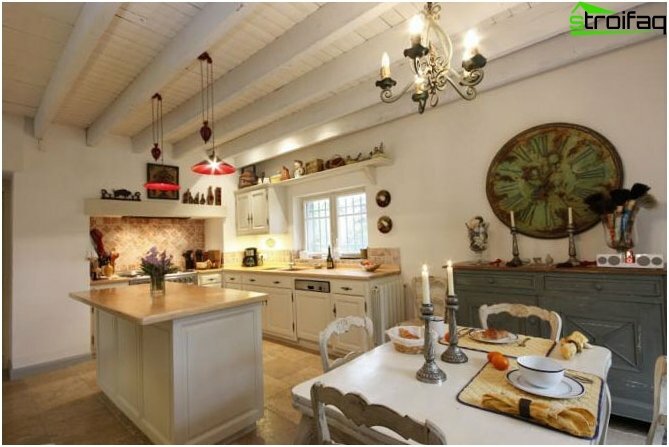 Lovely trinkets - that's the main highlightProvence style! Wrought iron candle holders, carefully arranged small posies, lovely baskets of fruit, sea shells or a cage with a canary - you choose! As they say, little things do not play a major role - playing all the little things. 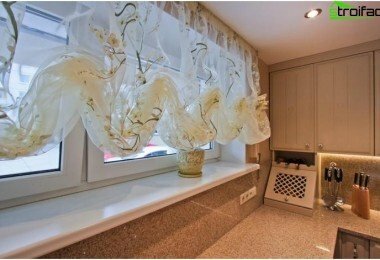 Pay particular attention to the curtains. 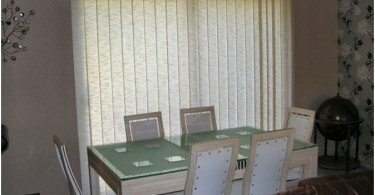 blinds should be light, light, almost weightless,but not transparent. 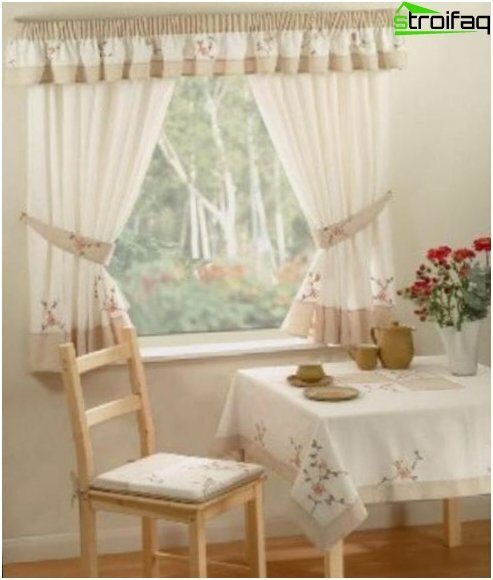 Select for sewing curtains, natural matte fabric, without Lurex and gloss. 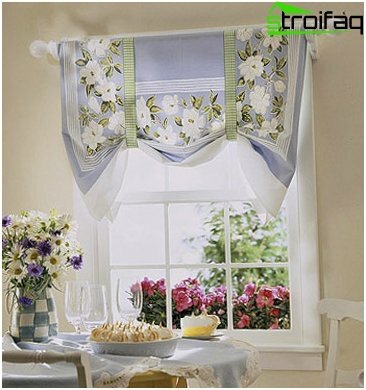 They can be self-colored or with patterns (floral motifs, cell or strip). 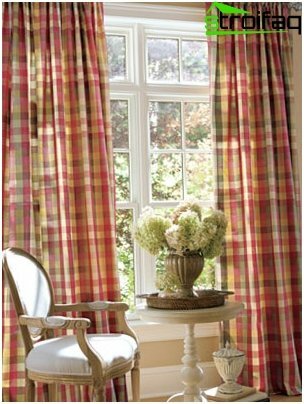 Do not weigh down your curtains a huge number of frills, bows, fringe - the curtains should be as simple cut. 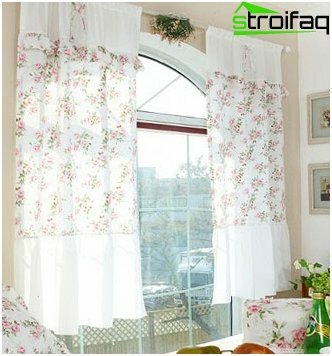 Small blinds can replace some of the furniture door. 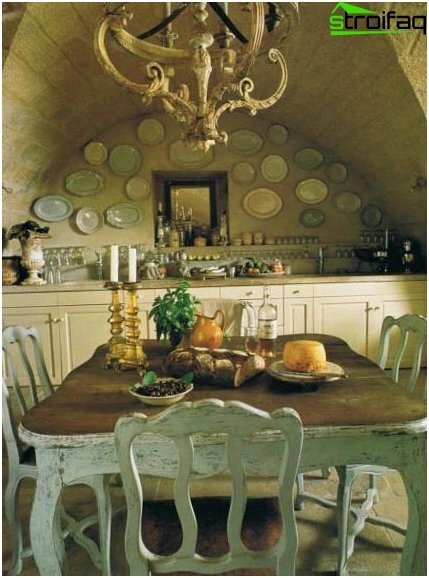 In the kitchen table in the style of Provence is not necessarilycover cloth, table top can remain open. 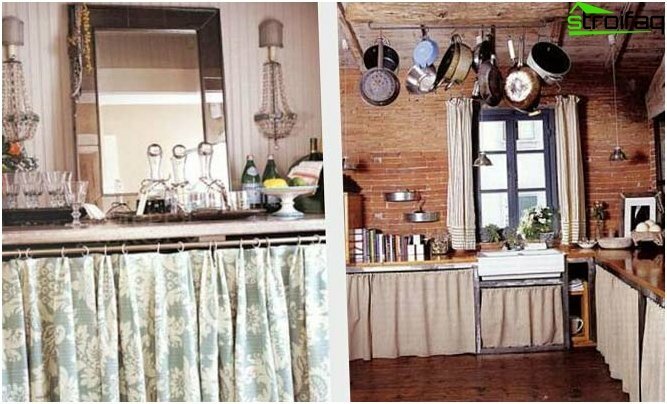 But if you prefer to use a tablecloth, then they must be combined with curtains. 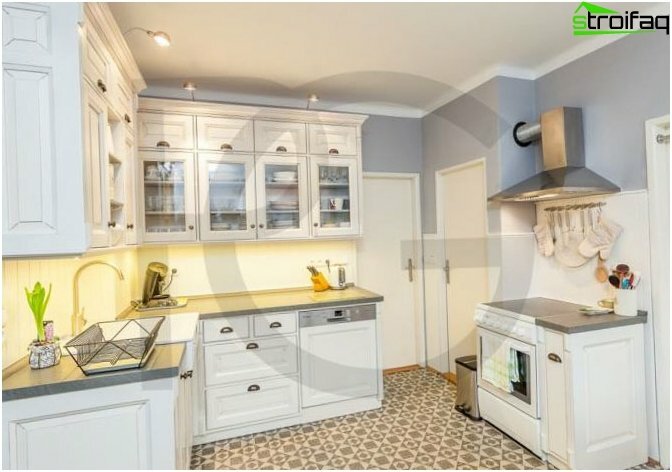 It is not necessary to use an identical image, but the color scheme should be maintained. 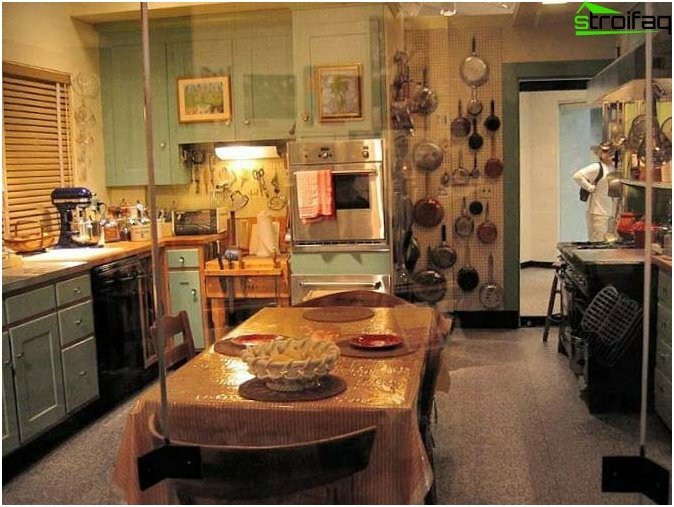 And no tablecloths! 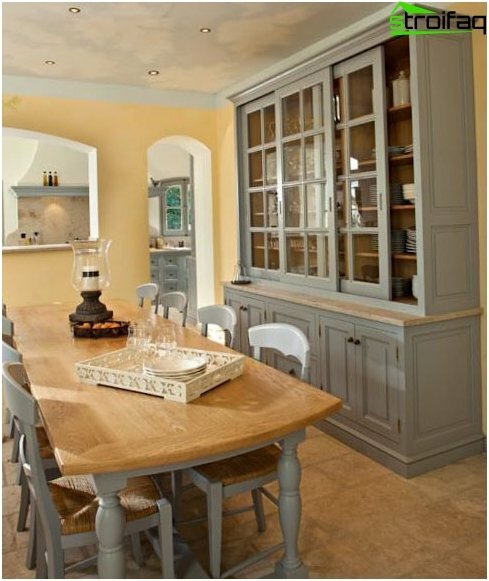 Colours of Provence style different light,muted and if a little faded by sunlight shades of beige, lavender, turquoise. 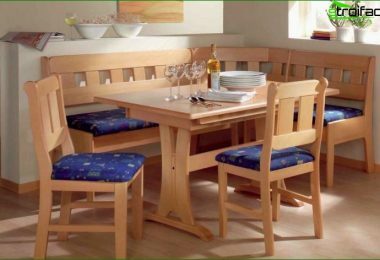 These paints give a sense of comfort and convenience, they do not irritate the eyes, allowing you to relax as much as possible after a hard day. 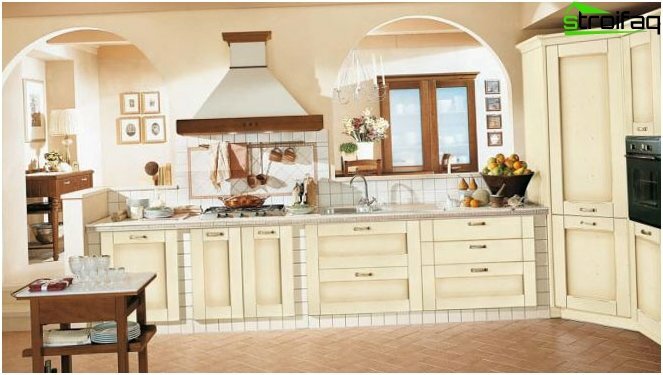 But you do not completely exclude the rich colors of the interior - they are organically fit into your kitchen as vivid details and accents. 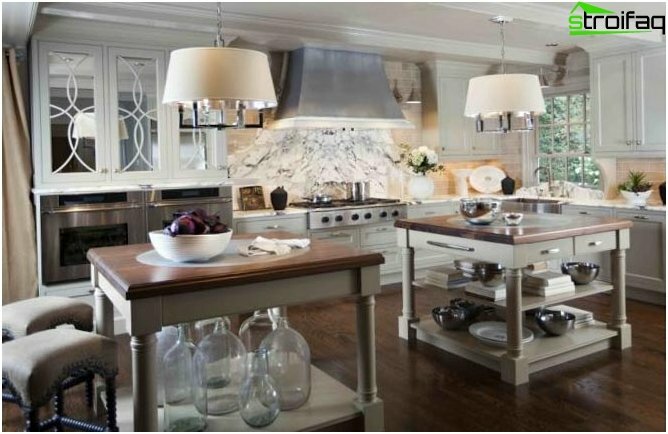 Very often use different tones of white(Ivory, ivory, with a blue tint, etc.) as the base color. 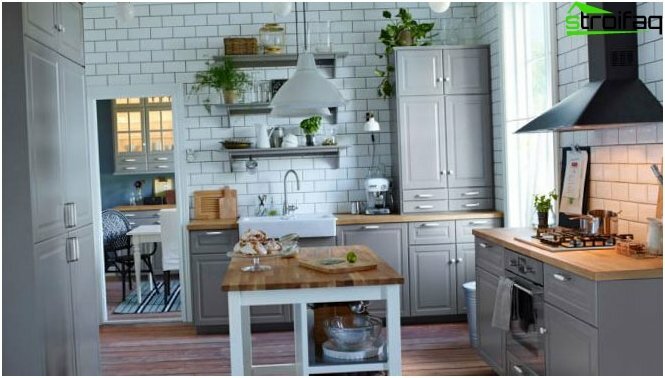 If your kitchen is located on the south side and you need it the most "cool" - use cold shades of white, if the main task to add to the kitchen as much as possible light - choose warm colors. 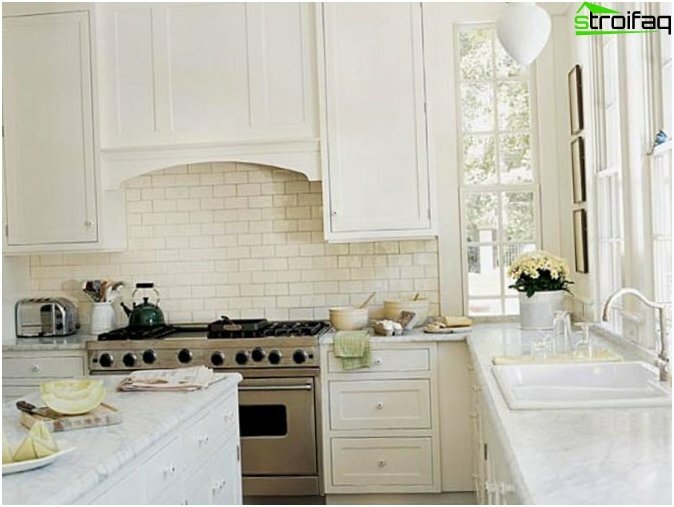 In the dark kitchen pure white color looks greyish. 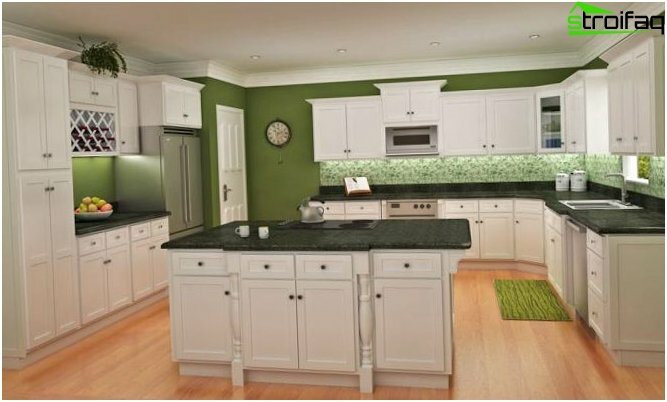 Green has traditionally been considered a noble andis this it can be called the natural color of harmony and balance. 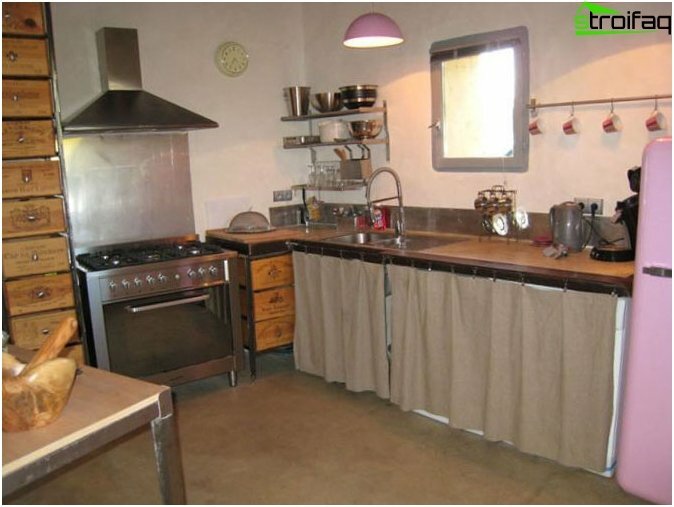 In the kitchen, Provence style will look good olive, pistachio and herb shades of green. 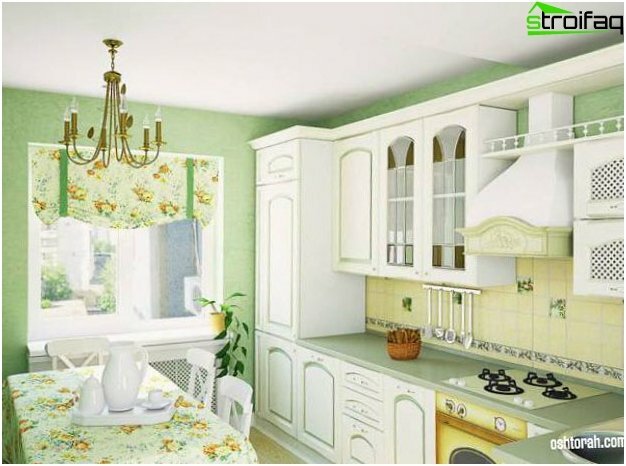 The apparent advantage of the green color in the interior is the fact that he, along with white, combined with all the other colors, but less soiled and more practical. 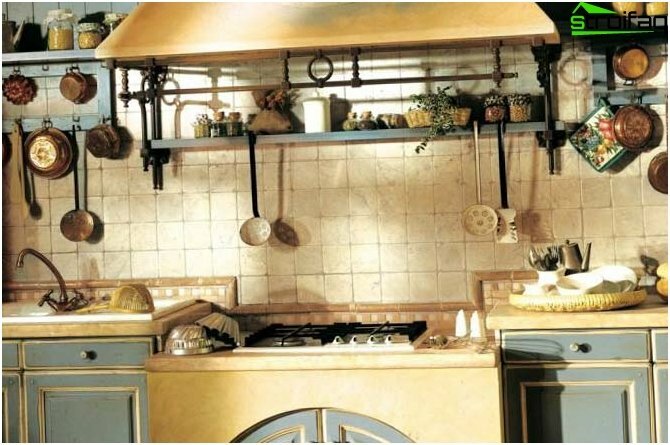 Yellow - a perfect solution for dark andsmall kitchens that need a visual extension of the space. 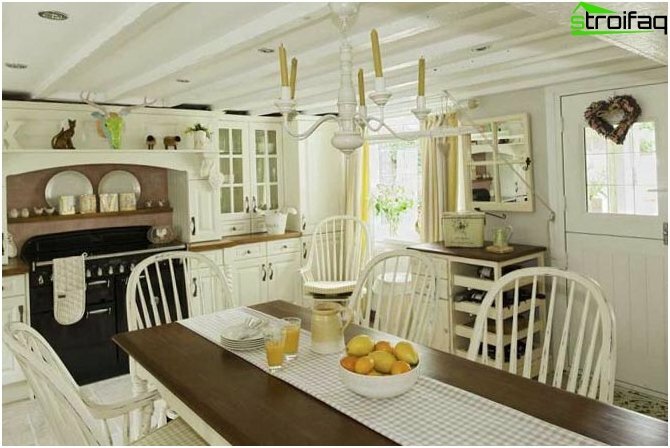 The color of the sun can be used for decorating walls or furniture. 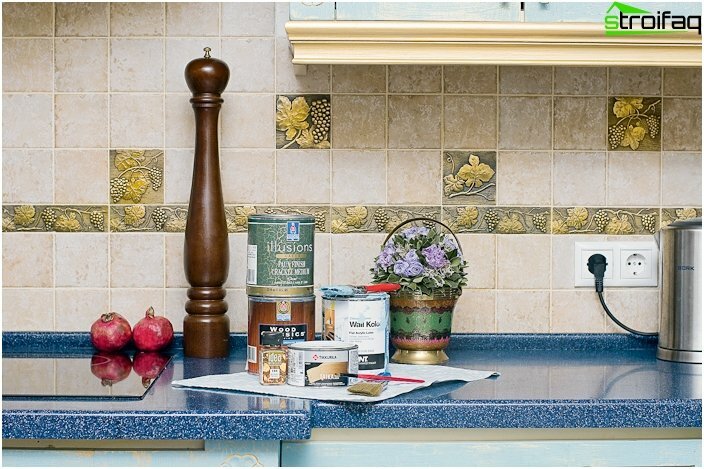 The most popular shades close to the color of butter, sunflower or straw. 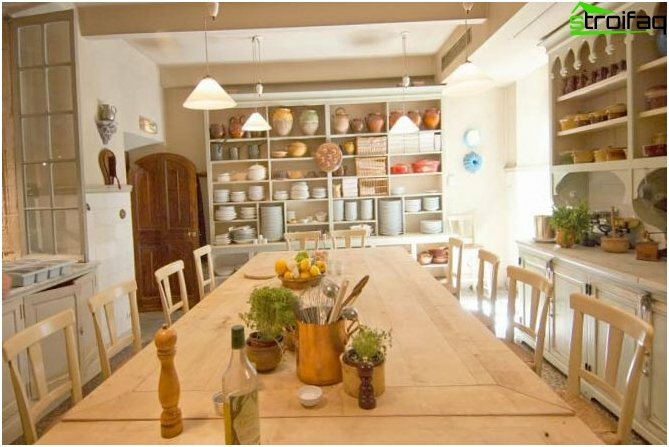 This is the warmest colors in the palette of Provence. 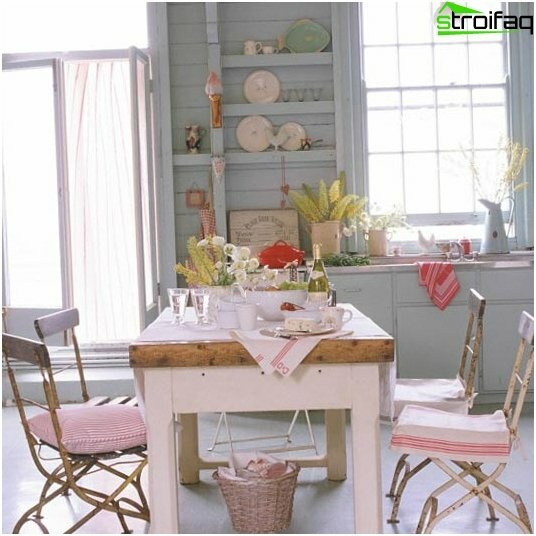 Sky blue, navy blue, azurewill appeal to romantics and dreamers. 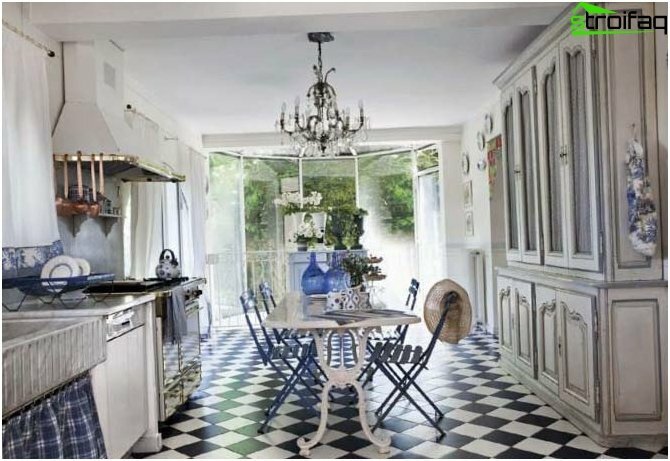 In addition to traditional Provençal style floral and plant motifs, thanks to the blue tint you can add in the interior of the kitchen a little sea. 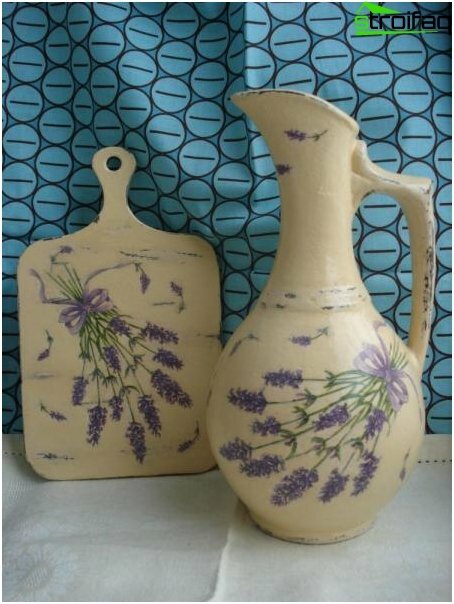 Collection and sale of lavender brought fameProvence. Floral endless fields are incredibly beautiful and excite the imagination of the most demanding esthete, but this is nothing compared to the intoxicating fragrances that bottled over them. 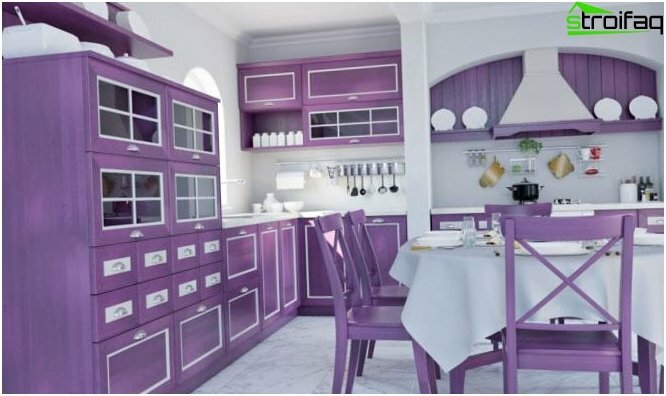 You can use not only color but lavender image. 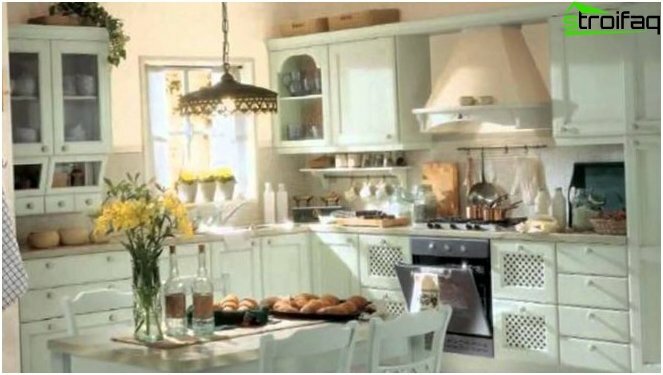 And how many will bring comfort in your kitchen aroma of lavender small bouquet! .. 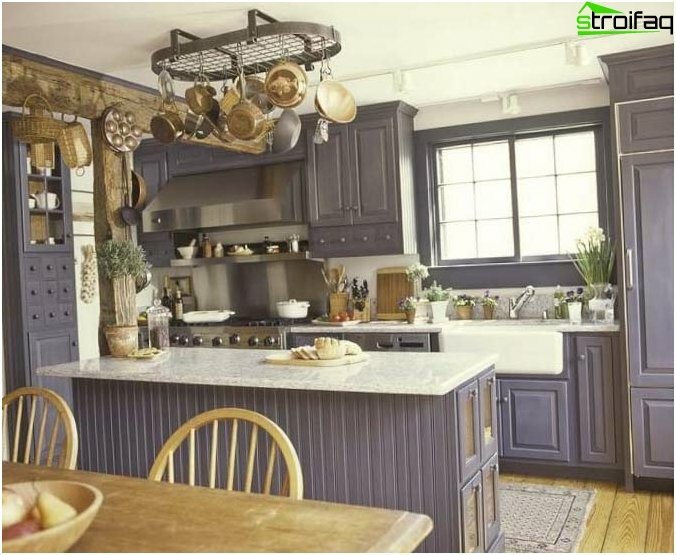 Dark colors in the style of Provence are also allowed,but in small amounts, such as furniture and accessories, but also such characteristic tone more for other varieties of country style. 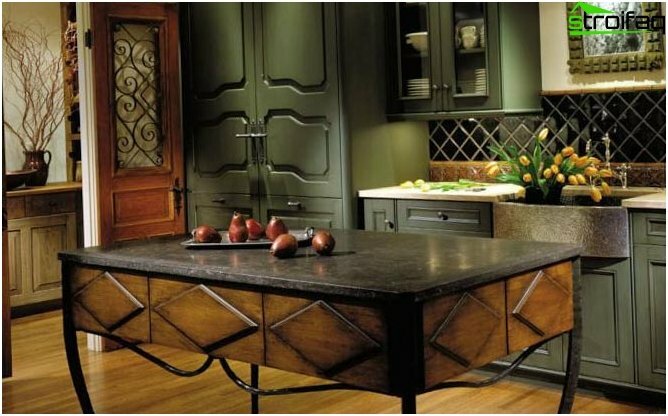 Choose natural dark colors - ebony, stormy sky, moss, chocolate. 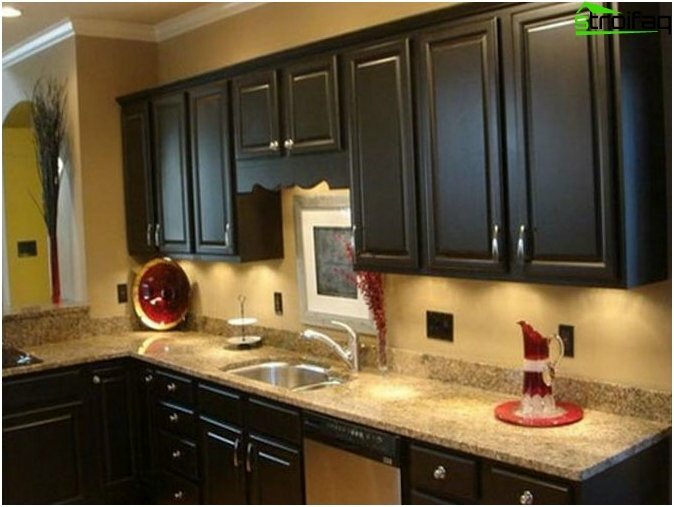 And be sure to keep in mind that dark colors bottles look favorably only in the large and spacious rooms. 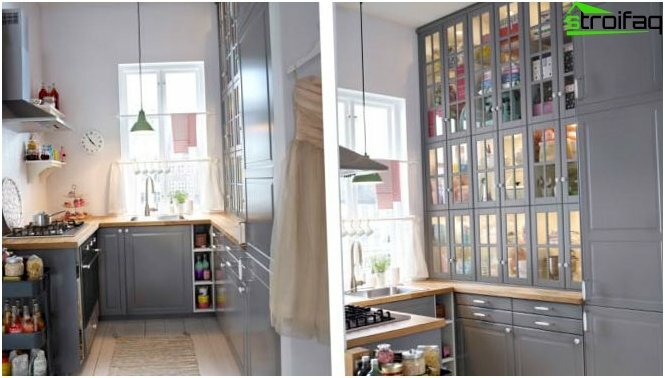 Even if your kitchen very modest size - do not despair! 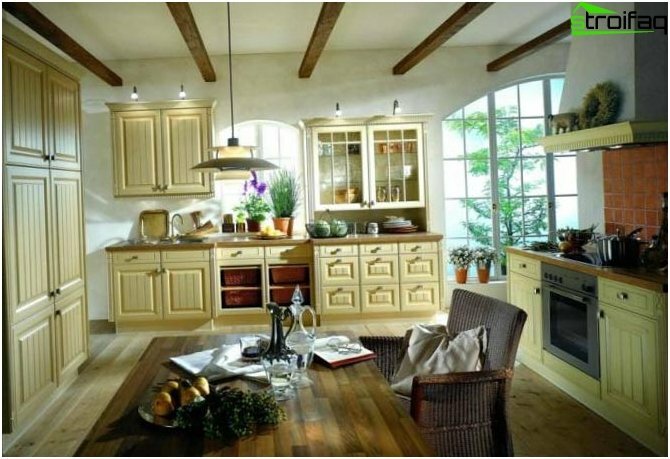 For registration, choose lighter shades of warm colors - it is visually expand your kitchen and make it lighter. 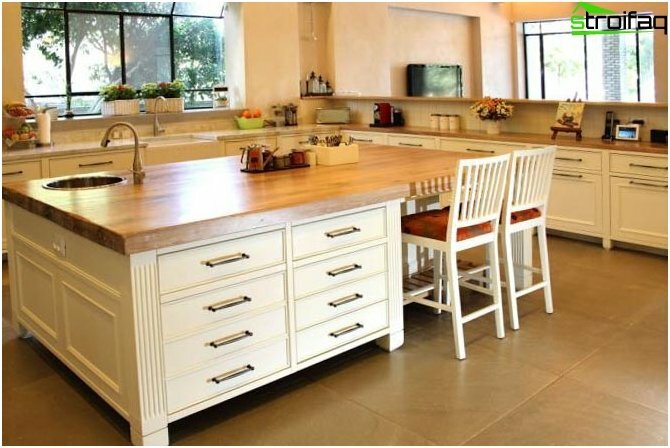 Do not clutter the surface of rubbish, butTry to pick up utensils so that it not only fulfills its intended purpose, but also performed an original accessory (such as salt shakers, bread bins, cutting boards with drawings). 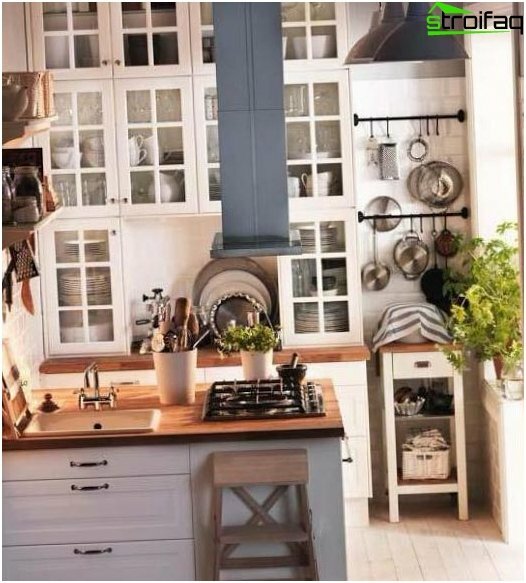 Instead, you can place gadgets themed pictures on the walls, and made in the style of Provence hours will be beautiful and practical detail that takes up minimal space. 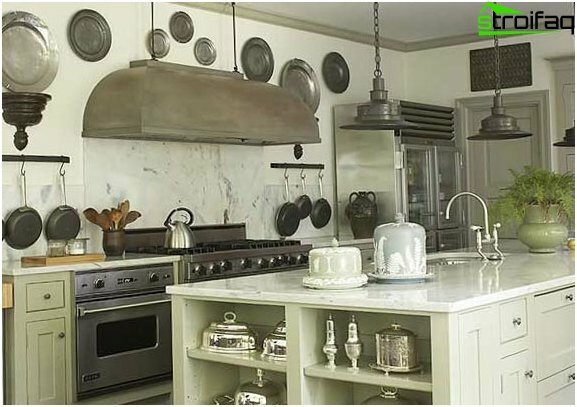 It is better to select a few are ideally suited to interior decor items than clutter up the space of a huge amount of gadgets and turn the kitchen into an exhibition of junk! 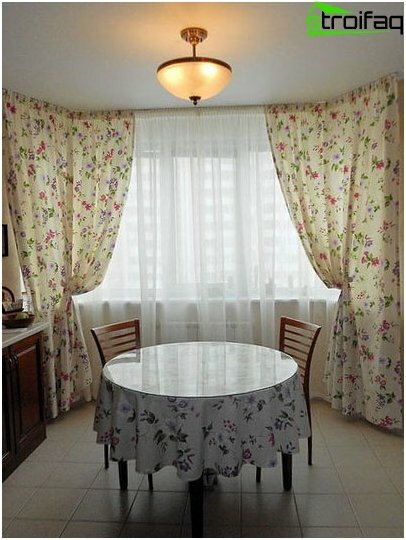 Prefer unobtrusive floralornaments in textiles and wallpaper. 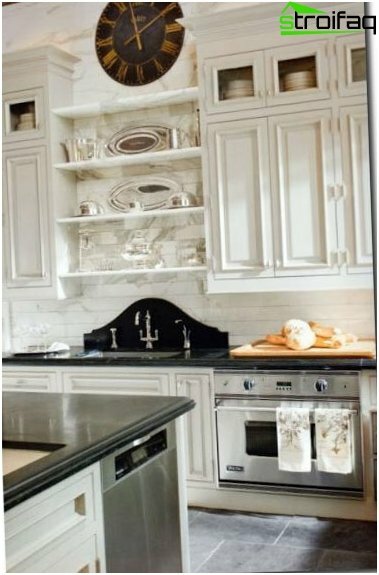 If you want more intensity, or texture, and kitchen size does not allow "roam" - select for decorating one wall. 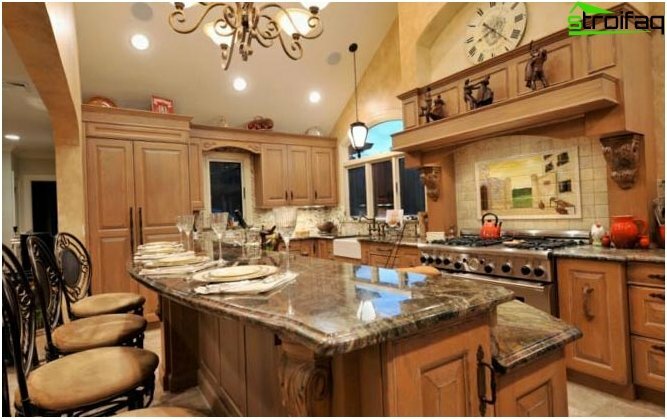 If your kitchen is large enough, you canit not only accommodate the cooking zone, and a zone for receiving guests. 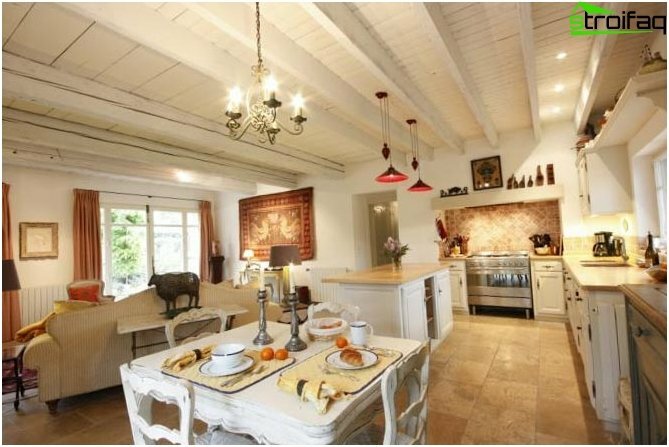 Put in the kitchen sofa, sofa in Provencal style or small chair. 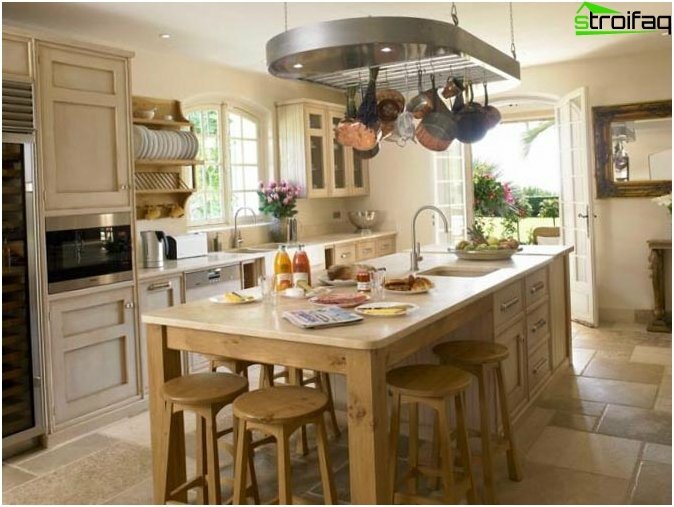 It is very convenient to use foldout kitchen tableThat all with just a few movements converted into dining. 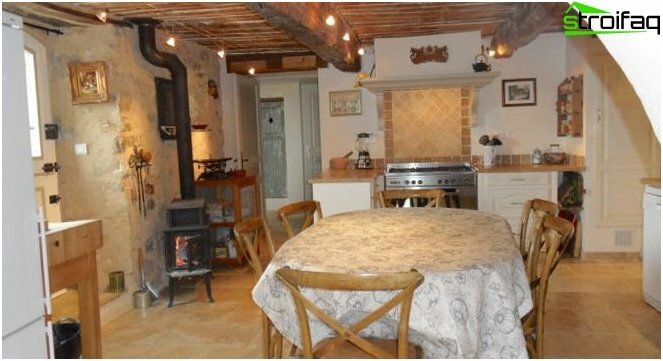 The charm and give a small fireplace, which will meet the whole family or a large noisy group of friends. 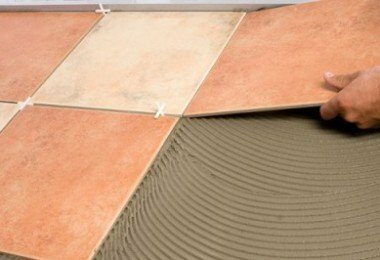 Conditionally divide the two zones can be using the coverings floor, bed it is only in the work area or in the guest only. 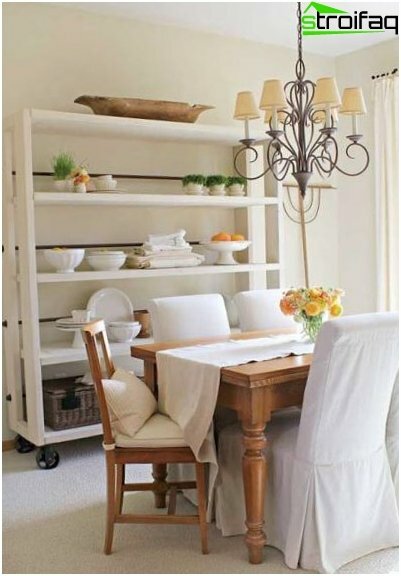 Use floor lamps or sconces as additional fixtures. 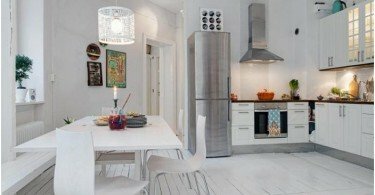 These tips are relevant for owners of apartments-studios. 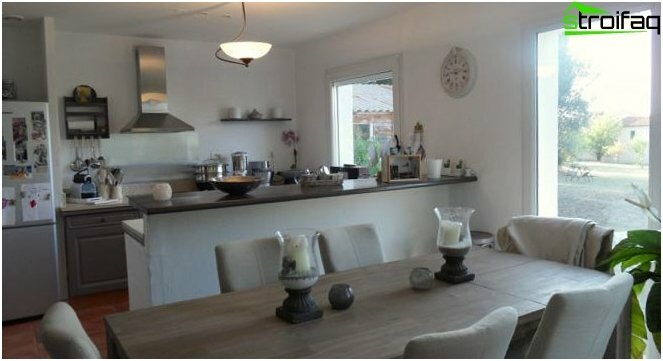 To view the other options the kitchen-living room design You can then. 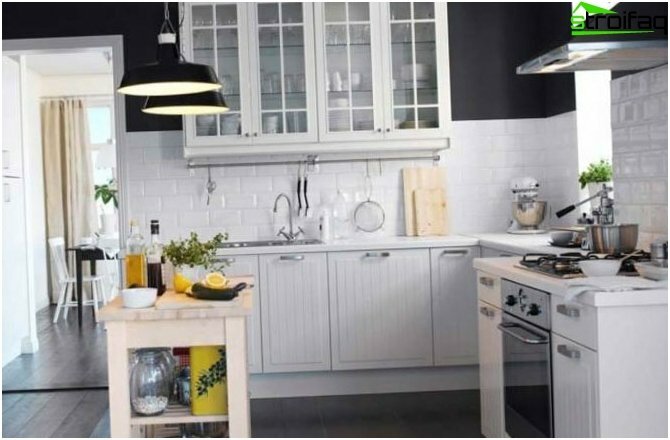 The famous Dutch furniture company IKEAfamous for producing high quality and functional products. 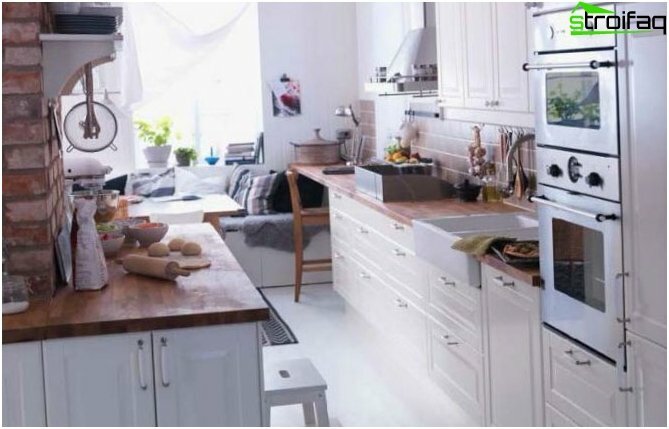 But its distinctive feature is that IKEA gives the opportunity to choose not only durable and reliable furniture, but also beautiful and relevant to your tastes and preferences. 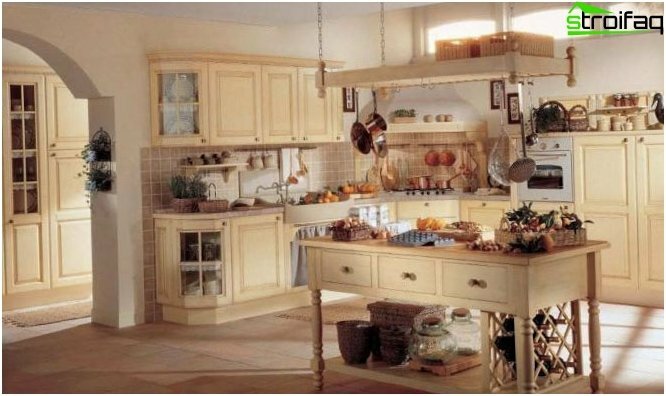 Including, and kitchen furniture in the style of Provence. Strapped for cash? Or global repair is planned only in the distant future? 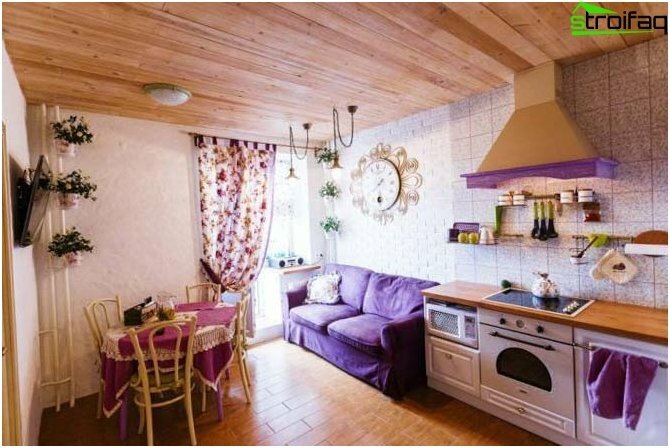 Or maybe you want to create a cosiness in the house "and from" yourself? No problem! 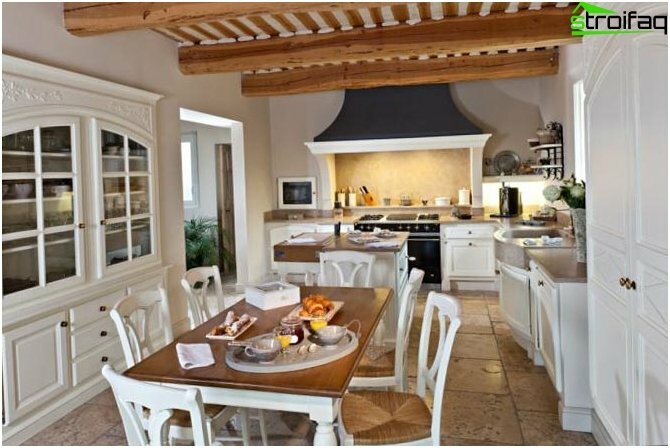 Breathe in the kitchen charm and appeal of the South of France, you can own hands! 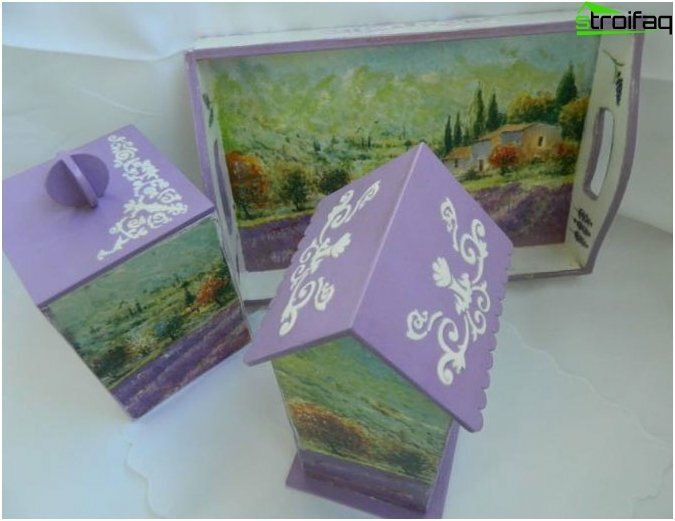 create your own charming trinkets. 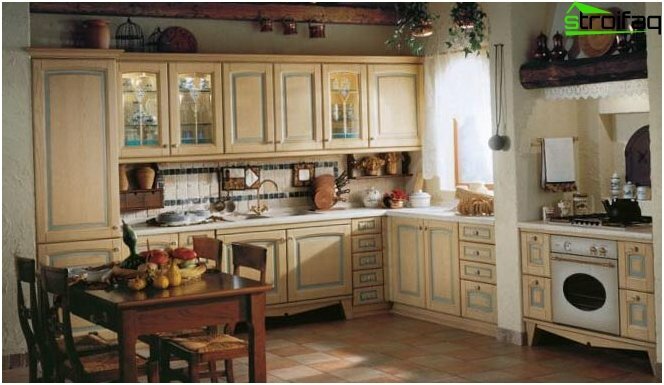 Inspiration Provence photo best design solutions for the kitchen. 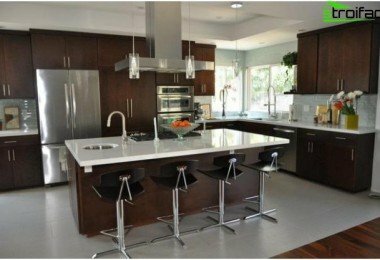 Read also about other ideas to create a unique Design your kitchen.